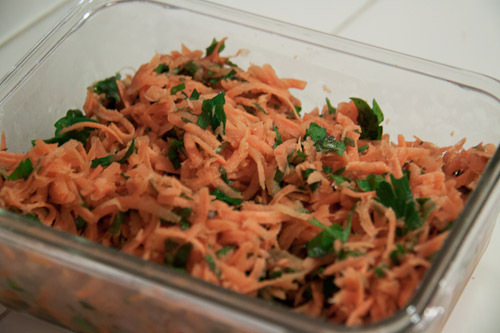 This carrot salad is a nice change from the traditional carrot raison salad most North Americans are probably familiar with. Take it to a potluck and watch people delight in the flavor surprise brought about from the coriander and mint. It’s also pretty quick to make, especially if you have a Cuisinart that will do the shredding for you.